Blog / How do solar panels help the environment? Thanks to advances in solar technologies, millions of homeowners are starting to understand the myriad ways solar energy and other clean energy resources are helping the environment. Conventional energy sources, such as coal, natural gas and oil, involve the mining and combustion of fossil fuels. As a result, greenhouse gas emissions, including carbon dioxide, nitrous oxide and methane are released into the atmosphere, increasing air pollution. These harmful gases not only increase respiratory health risks but also contribute to climate change. Solar panels don’t need to burn fossil fuels to generate electricity, which is why installing solar panels significantly reduce air pollution. Even though all manufacturing processes require water, solar photovoltaic cells don’t need water to generate electricity. This is, by far, one of the most significant environmental benefits of solar panels. Unlike geothermal power plants or traditional biomass plants, solar energy reduces pollution of local water resources. Solar energy is clean and renewable. The sun is the world’s most abundant energy source, producing 173,000 terawatts of solar energy per second. We could power the entire world for one year if we could capture all of the sun’s energy shining on the Earth for one hour. Also, solar panels are a much easier and accessible way to extract energy, not to mention they do so without damaging the environment. Besides releasing carbon dioxide and other air pollutants into the atmosphere, coal-fired plants are also responsible for releasing millions of tons of toxic waste. These hazardous wastes are disposed of in abandoned mines, landfills and other areas that can be dangerous for the environment and the health of those living near these dumping facilities. Overall, installing a solar panel system helps reduce climate change and your carbon footprint. Carbon dioxide emissions from the electric power sector accounted for 34% of total U.S. CO2 emissions, with the vast majority coming from fossil fuel combustion. In 2017 alone, the electric power sector that includes coal, natural gas, and petroleum generated 1,743 million metric tons of carbon dioxide, while the geothermal segment generated less than 0.5 million metric tons. Installing solar panels helps the environment today, and in the future. How to Switch to Solar Energy? 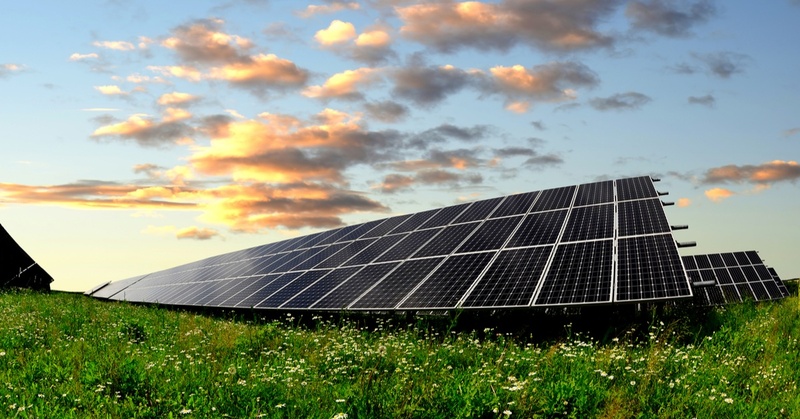 While many people make the switch to solar for the many financial benefits, don’t forget to take into consideration the many ways a solar panel system can help the environment. At POWERHOME Solar, we believe in building a movement, one house at a time, one solar panel at a time. If you’re interested in making the switch to solar energy to help the environment, the economy and your financials, then start by filling out the form below. One of our solar specialists will contact you soon for a complimentary evaluation to see if you and your home qualify for solar energy. If qualified, our local solar experts can create a custom design and quote.